Please select year and category. 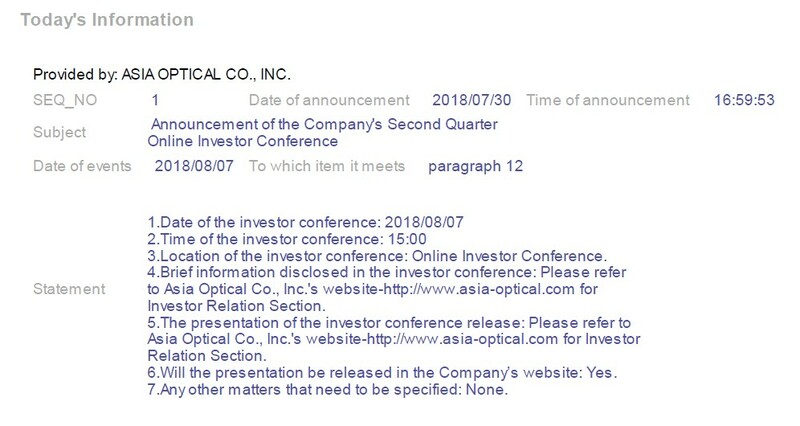 【30.Jul.18】 2018 Q2 Online Investor Conference. 【31.Jul.17】 2017 Q2 Online Investor Conference. 【3.Jun.16】 KILO2000 is awarded Outstanding Photonics Product Award 2016 by OPTO Taiwan 2016.